We can expect yet another night of firsts when the UFC rolls into Brooklyn, N.Y., for UFC 208 on Saturday, Feb. 11. In this instance, the first-ever UFC women’s featherweight champion will be crowned when former bantamweight titleholder Holly Holm faces Germaine de Randamie. Holm, in an attempted defense of the bantamweight title, was choked out by Miesha Tate last year and then suffered another loss to presumed top bantamweight contender Valentina Shevchenko. Will moving up to 145 pounds represent a rebirth of sorts for “The Preacher’s Daughter,” who was tabbed by many as “The Next Big Thing” in women’s MMA when she dethroned the formerly undefeated Ronda Rousey in 2015? If the choice of opponent for Holm in the inaugural women’s featherweight title bout surprises you, you’re probably not alone. However, de Randamie has enjoyed a pretty solid career so far. She’s only lost once since 2013, and that was to current UFC women’s bantamweight champion Amanda Nunes. De Randamie is coming off back-to-back knockout wins, and even if “The Iron Lady’s” name isn’t that well known to the casual MMA fan, half of her six overall victories came by way of knockout and she should hopefully present a formidable challenger to the decorated former boxing champion Holm. While UFC 208 will introduce something new to fans, something — or more accurately, someone — familiar will also be available to enjoy. Anderson Silva makes his return to the Octagon for the first time since his short-notice loss to light heavyweight champion Daniel Cormier at UFC 200 last year. 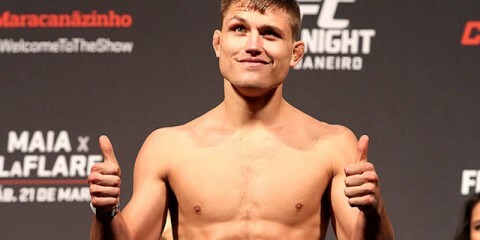 “The Spider” faces surging middleweight contender Derek Brunson, who should still be considered dangerous despite a knockout loss in the first round to Robert Whittaker last year. Before that, Brunson had won five straight fights and seven of eight overall, including a streak of four straight first-round knockouts. The UFC 208 main card begins at 10 p.m. on pay-per-view. The preliminary card kicks things off on UFC Fight Pass at 6:30 p.m. ET and moves to Fox Sports 1 at 8 p.m. ET. Combat Press writer Chris Huntemann and Editor-in-Chief Bryan Henderson are here to get you ready for the action in this edition of Toe-to-Toe. 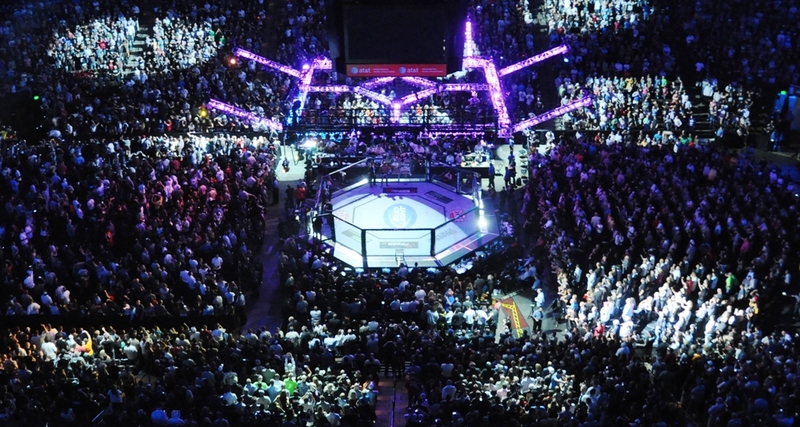 The UFC has added a women’s featherweight division. Holly Holm and Germaine de Randamie will fight for the inaugural belt in the UFC 208 headliner. Is the winner just keeping the throne warm for Cristiane “Cyborg” Justino? Henderson: Maybe? Probably? A lot of it depends on whether Cyborg can steer clear of USADA troubles and make it into the cage. However, there’s also the little question of whether a highly decorated boxer could put the kibosh on the UFC’s plans to give Cyborg a division of her own. If you couldn’t tell, I’m predicting Holm to emerge with the championship belt over de Randamie. While the 35-year-old Holm was exposed in her bouts with Miesha Tate and Valentina Shevchenko, she’s now getting an opportunity to fight someone who was much further down the bantamweight totem pole. De Randamie does have some quality wins — she has defeated Hiroko Yamanaka, Julie Kedzie, Larissa Pacheco and Anna Elmose — but she stumbled against the much smaller Vanessa Porto, an inexperienced Julia Budd who had yet to find her groove and, most recently, future UFC champion Amanda Nunes. The 32-year-old de Randamie is no walk in the park for Holm, but she is a Dutch kickboxer and not a ground specialist like the aforementioned Tate or quite as solid of an all-around fighter as the aforementioned Shevchenko. Holm’s takedown defense should hold up against de Randamie, and the former UFC bantamweight champion has the edge on the feet. It might go the distance — Holm is likely to play it conservative after her two recent defeats — but it will end with the Albuquerque favorite holding the belt. This brings us back to Cyborg. If the Brazilian doesn’t face another suspension from a recent USADA violation, then she could be back in the cage to face Holm. This would be likely the biggest women’s fight for the UFC since Holm clashed with Ronda Rousey. It pairs Holm, a strong striker, with Cyborg, who has been an unstoppable force in the MMA arena. Cyborg’s strength and ability to take the fight to the ground should still give her the edge, but Holm could give her a run for her money in a stand-up war. That said, it seems like Cyborg’s biggest obstacle to a lengthy title run could be herself. Huntemann: I’ll echo my esteemed superior’s initial thoughts for this fight. It’s possible that the winner of this fight is keeping the seat warm for Cyborg, but, as has already been mentioned, she has a (not so) tiny matter with the USADA she needs to clear up before she can fulfill those long-held dreams of UFC women’s featherweight title glory. I was a bit puzzled when this fight was announced, for reasons that don’t have much to do with Cyborg, though I also think not including her was a not-so-subtle shot by UFC President Dana White and company. Who else is going to be in the UFC women’s featherweight division besides Holm and de Randamie? We have no idea. Will current bantamweight fighters like Cat Zingano and Raquel Pennington make a move up in weight? Will the UFC raid Invicta FC again, like it did to establish its women’s bantamweight and strawweight divisions? What exactly does the first UFC women’s featherweight champion have to look forward to, besides maybe a fight with Cyborg or perhaps a champion-vs.-champion bout with Nunes? As far as the fight itself goes, I like Holm to rebound and become a champion yet again. Holm is closer to the fighter we saw against Rousey than the one we saw against Tate or Shevchenko. She executed one of the greatest game plans ever when she defeated Rousey, and she was dominating Tate on the scorecards before Tate completed an epic comeback in the fifth round. I also don’t think Holm was fully recovered mentally from the Tate loss when she lost to Shevchenko last summer. Holm will also be de Randamie’s toughest test to date, which says something, since “The Iron Lady” has also faced Nunes. But Nunes wasn’t the fighter then she is now. I also don’t mean any disrespect to Kedzie, Pacheco or Elmose when I say that Holm will be the toughest challenge for de Randamie. However, as we already know and have seen, Holm’s striking and movement is elite. I expect her to move around frequently, frustrate de Randamie and pinpoint her striking. De Randamie will be too tough for Holm to finish, but there won’t be much doubt as to whom the victor will be. Anderson Silva, a former perennial headliner, has not won a fight since 2012 and is now on a four-fight skid. Can he break this unfortunate streak when he meets Derek Brunson in the UFC 208 co-headliner, or will Brunson be the latest fighter to hand “The Spider” a loss? Huntemann: Silva is in a weird place right now. He hasn’t looked the same since he lost twice to former middleweight champion Chris Weidman and suffered a broken leg for his troubles. Before that, he was considered the greatest fighter in the history of MMA. Now, he just seems like just another guy. In other words, I think Silva is ripe for the picking yet again here. Brunson may have been knocked out by Robert Whittaker, but Brunson had Whittaker on the ropes as well in the brief time those two spent in the Octagon. Brunson is so, so dangerous and reminds me a lot of Silva when “The Spider” was dominating the UFC. Those four straight first-round knockouts stand out to me in such a huge way. But despite Silva’s recent woes, he’s still the toughest test Brunson has faced to date. As weird as it seems to say, there hasn’t been a much better example lately of a fighter on the upswing facing a fighter on the downside of his career. In some ways, it’s sad to see a fighter who once had such a dangerous and mysterious aura as Silva clearly show that his best days are behind him. This could be Brunson’s coming-out party. 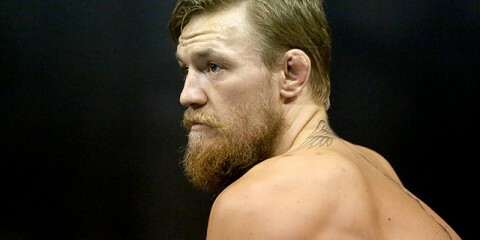 He’ll finish Silva and become a title contender at 185 pounds. Henderson: Silva really hasn’t been the same since he broke his leg, has he? “The Spider” did register one win since the Weidman losses, but a failed drug test wiped that out, leaving him with what amounts to a four-fight skid. He wasn’t finished in his more recent bouts with Michael Bisping and Daniel Cormier, but he looked rather flat in those performances. The swagger is gone, as is the smooth flow of strikes that would allow Silva to score finishes or sail to decision victories. Brunson’s had a good bit of momentum going his way. Those four first-round knockouts my colleague mentioned came against Ed Herman, Sam Alvey, Roan Carneiro and Uriah Hall. That’s not a shabby list, even if Silva is head and shoulders above even the best of those fighters. Silva’s diminishing returns in the striking game are worrisome, and Brunson’s own strong striking and clinch game could be the perfect answer to carry him to victory over the legend. Silva, sort of like B.J. Penn, has become a legend far past his prime. “The Spider” is in his 40s now, and he’s set to go up against a 33-year-old Brunson. The outcome is likely to favor the younger fighter, and it could even end in a knockout. This question is pretty simple: If Ronaldo “Jacare” Souza defeats Tim Boetsch, should Souza be considered the No. 1 contender for the middleweight title? Henderson: Before or after Yoel Romero gets his shot? If it’s the former, I’d have to disagree. 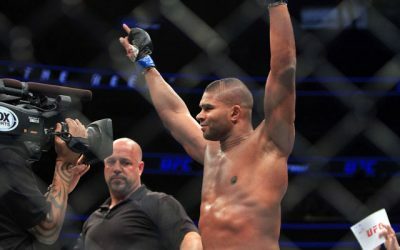 Romero did top Jacare, albeit via split decision, in late 2015 and then destroyed former champ Chris Weidman in his only fight of 2016. Romero may have barely eked out the win over Jacare, but it’s enough to keep him at the front of the line for a crack at current titleholder Michael Bisping. However, if we’re talking about who gets next, then the answer is definitely yes. It might be a simple matter of the process of elimination, but once Bisping and Romero duke it out, the remaining list of contenders includes Jacare, Weidman, Luke Rockhold, Gegard Mousasi, Lyoto Machida and Robert Whittaker. Weidman has been crushed by Romero and Rockhold. Rockhold just lost to Bisping. Jacare has defeated Mousasi, and Machida has lost to Romero, Rockhold and Weidman. Whittaker has gone undefeated since moving to middleweight, but his biggest wins came against Uriah Hall and Derek Brunson. Whittaker needs to add the name of one of the aforementioned contenders to his resume. Jacare, meanwhile, has only lost to Romero since joining the UFC roster. Give the Brazilian his long-overdue shot already. Huntemann: I guess we’re operating under the assumption that Romero will get a title shot against Bisping first, though “The Count” doesn’t appear too eager to face him. Why else would Bisping and Tyron Woodley be clamoring for a “superfight” that doesn’t really meet that criteria? Souza should have been the No. 1 contender to start with, because I personally thought he won his fight against Romero in 2015. But, what’re you gonna do? Souza’s demolition of Vitor Belfort last year puts Jacare right back in the driver’s seat for a title shot. If Bisping ends up defending his title against Romero and beats him, then Souza is by far Bisping’s most dangerous opponent, maybe ever. If Romero unseats “The Count” and wins the title, then Souza gets a chance to redeem himself and get a win back. 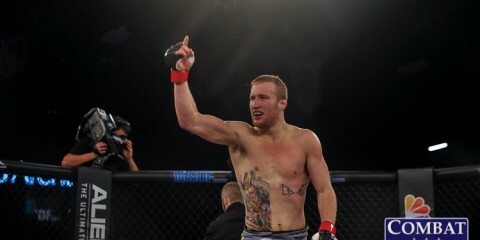 Souza will make pretty convincing work of Boetsch and firmly cement himself as the next middleweight title contender. It’s pretty amazing to think that Souza hasn’t even had a chance to fight for a UFC title yet, considering his resume. This card features a handful of prospects with solid records and either zero or one career loss. There’s Jared Cannonier, who fights Glover Teixeira on the main card, plus Randy Brown, Ryan LaFlare, Islam Makhachev, Jeff Willis and Jarred Brooks on the prelims. Will any of these men become major factors in their respective divisions by the end of 2017? Huntemann: I certainly hope Cannonier can become a factor. After Daniel Cormier finally faces Anthony “Rumble” Johnson later this year for the title, the UFC better hope and pray that Jon Jones finally stays out of trouble, so the long-awaited rematch between Cormier and Jones can happen. 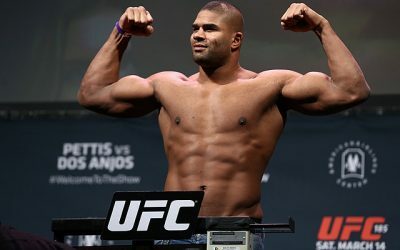 Otherwise, the pickings in the UFC’s light heavyweight division are extremely slim. The UFC is apparently bidding adieu to Ryan Bader, so that division’s depth has taken even another hit. The fact the UFC matched Cannonier against a veteran like Teixeira shows that the brass must think highly about his potential. The move down to 205 pounds was probably a wise one on his part, and he looked very impressive against the tough Ion Cutelaba last year. Cannonier’s striking looked particularly brutal, in a good way, so it’s certainly possible that facing another decorated striker like Teixeira could steal the show on this card. If Cannonier defeats Teixeira, then it’s definitely time to take him seriously as a light heavyweight contender. Henderson: It’s hard to argue with the case for Cannonier. The “Killa Gorilla” wasn’t really built to hang with the UFC’s heavyweight division, but he seems primed for a run at the depleted UFC light heavyweight top 10. He’ll need to have an impressive showing against Teixeira in order to keep the momentum going, but that’s not an impossibility. While I side with Teixeira’s experience and proven track record, I wouldn’t blink if Cannonier runs through him. Regardless of the outcome of their bout, Cannonier has the ability to stick around as a relevant light heavyweight. He’s not the only one from this group that could make waves. LaFlare has potential. Remember, his only loss came to Demian Maia, a member of the welterweight elite. Outside of that lone setback, LaFlare has done well, registering five Octagon victories and topping the likes of Court McGee, John Howard and Mike Pierce. His opponent, Roan Carneiro, seems like the perfect next victim for LaFlare. 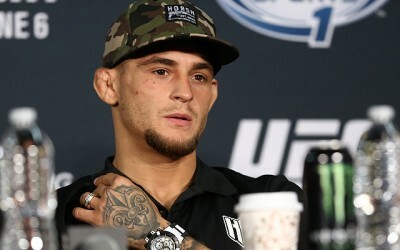 Brooks is a newcomer, but the flyweight is set to meet Ian McCall, who hasn’t fought in ages and has to be shaken and frustrated by the number of scrapped bouts he’s been forced to endure. If McCall proves rusty, Brooks could land himself a surprise seat at the flyweight contender’s table. It’s unlikely, true, but completely out of the question. The fighter with the biggest uphill battle is probably Makhachev. 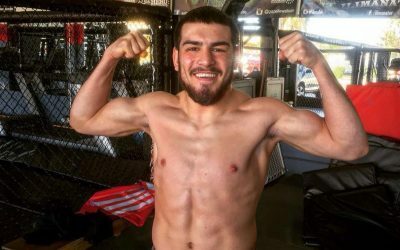 He might be 13-1, but he already suffered a loss to Adriano Martins and is set to fight Nik Lentz, a fighter with a suffocating grinder’s style. The 25-year-old Dagestani fighter needs a win to stay alive in the UFC, but he might not find it. Henderson: Flyweights have a way of making fights exciting, and there are two great 125-pound fights residing on the UFC 208 preliminary card. In one match-up, Wilson Reis takes on Yuta Sasaki. In the other, Ian McCall meets late-replacement opponent and Octagon newcomer Jarred Brooks. It looks like we have a tie, folks. Instead of singling out one of these fights, I’m going to highlight them as equal sleepers. Reis stands out as a current contender in the flyweight division, which makes his fight with Sasaki a key contest buried deep down the lineup of this pay-per-view event. Reis has a slick ground game that has been on display for years and across numerous promotions. He’s held an EliteXC title, always seemed to be just a fight or two away from a Bellator belt, and almost managed to land his way into a title fight with UFC champ Demetrious “Mighty Mouse” Johnson. 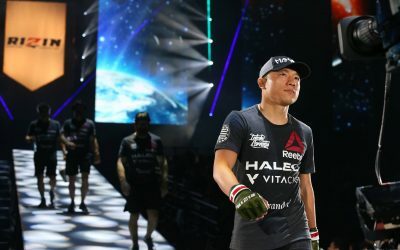 Sasaki hasn’t fared as well during his UFC stint, but he has demonstrated an unusual ability for a Japanese fighter by stopping his opponent in 12 of his victories. Sasaki is a strong grappler who should push Reis into some nice scrambles and submission exchanges. That makes for an exciting outing. Meanwhile, McCall might finally get a chance to end his streak of scrapped bouts. He did suffer through another opponent change when Neil Seery withdrew after the death of his mother-in-law, but the UFC had a backup plan lined up and brought in Brooks. The 23-year-old Brooks is undefeated through 12 fights while scoring seven finishes. McCall is rarely ever a boring fighter to watch, and Brooks doesn’t seem too shabby himself. This is McCall’s chance to leap right back into the title fray, so it’s a bout that shouldn’t be missed, even with its placement as one of the show-openers on Fox Sports 1. Huntemann: I mean, Dustin Poirier and Jim Miller are fighting each other on this card. Is any further explanation really necessary? You are absolutely guaranteed an exciting fight when these two step into the Octagon. You also have two guys who are chomping at the bit to prove they’re still a relevant force in the UFC, too. You really don’t want to miss this fight. Like, really. Huntemann: I’m just going to use this space to mention my Dad, whose birthday is on the same day as UFC 208. He has absolutely zero interest in MMA, but I wanted to take an opportunity to acknowledge his birthday. So, Happy Birthday Dad! Henderson: A smothering of green chile. No matter if you’re eating a burrito, a burger or a slice of pizza while watching this card, the presence of Holly Holm should signal that it’s time to bring a New Mexico staple into your life. Green chile adds spice and flavor to any dish, and this card contains plenty of spice, from the solid offering on UFC Fight Pass, to presence of Ian McCall and Jarred Brooks in the opening contest of the Fox Sports 1 prelims, and up through Holly Holm and Germaine de Randamie in the evening’s headliner. Bonus question: Will Ian McCall finally fight on Saturday? 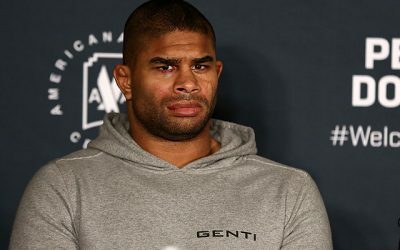 Henderson: Yes, because his string of bad luck has to end somewhere… and the UFC has to have at least 10 backup plans for him at this point in case Brooks also has to withdraw.